When you use composer, concrete5's default UI shows a sidebar. 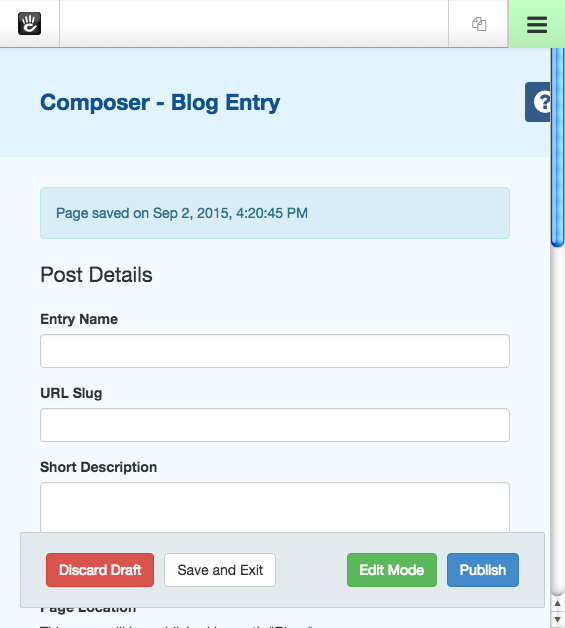 It is an obstacle when you use composer from a mobile device. This addon modifies the default UI; the sidebar on composer is hidden when you use a mobile device (less than 768px width).